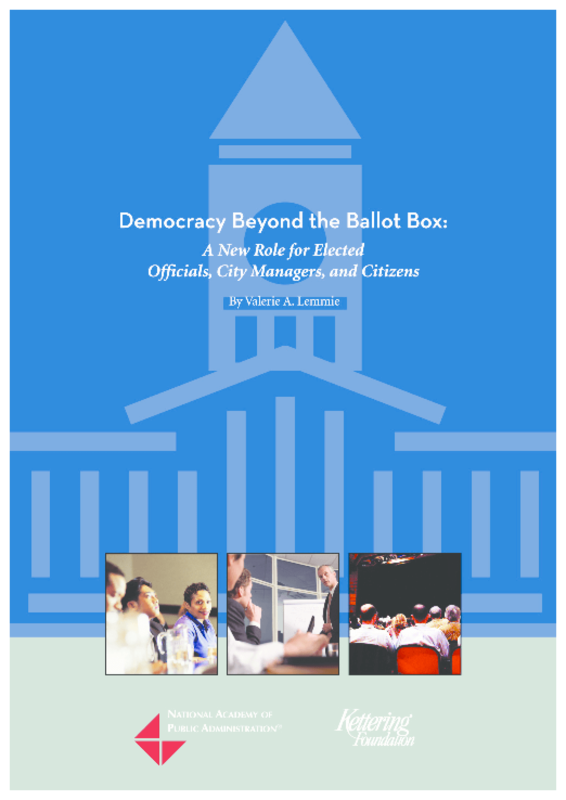 This report discussed reasons for the disconnect between citizens and their government. One of them was the advent of the "professional" or "expert" in local government, in the form of the city manager. The council-manager form of local government was the result of a convergence of forces during the Progressive Era, including the rapid urbanization of America's cities, discontent with the corrupt practices of political machines, and the emergence of scientific management principles with the prospect of more efficiently run and accountable public organizations. An effect of this model has been the elevation of the value of technical expertise over citizens' expertise, further distancing citizens from their local government. Copyright 2014 Kettering Foundation, National Academy of Public Administration.